I don’t blog about every single spirit I taste. Most inspire and educate and I have always been surprised – invariably at my own lack of knowledge of some previously undiscovered delight. Last night I tasted Benromach, 10, 15 and 20th Anniversary Edition. 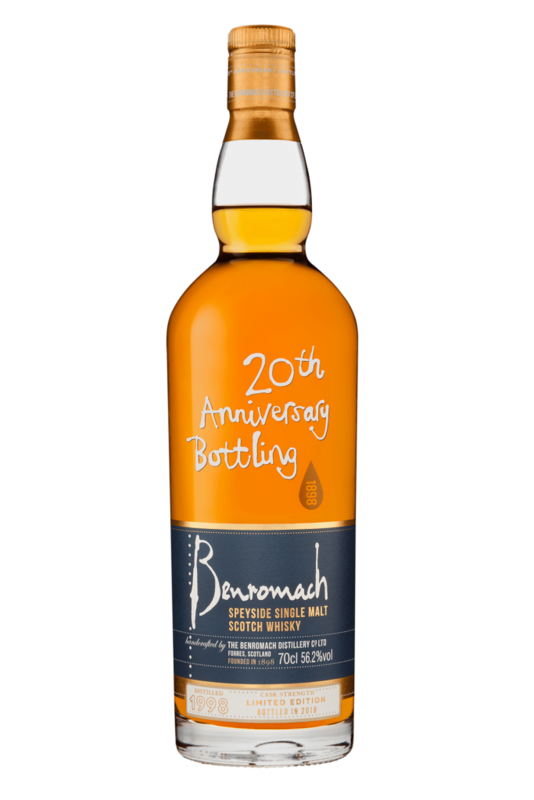 Benromach is a multi-award winning Scotch from a distillery reopened in 1998 by owners Gordon and MacPhail. I am writing this blog because of the individuality of this distillery and its output. These are must try whiskies to enjoy with your family and friends. As a tasting on arrival, the difference was obvious, a personal letter from Keith Cruickshank the Distillery Manager thanking me for participating in the event. 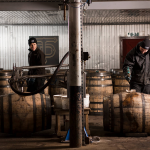 He leads a staff of four at the distillery and is very hands-on in all aspects of production. Benromach Distillery is in Forres, a small town I used to visit on holiday weekend holidays with my parents, shortly after the earth’s crust formed. The golf course was always one of my favourites. Moray has a unique microclimate which contributes substantially to dunnage stored whisky. At Benromach whisky making is personal. It is done by hand. 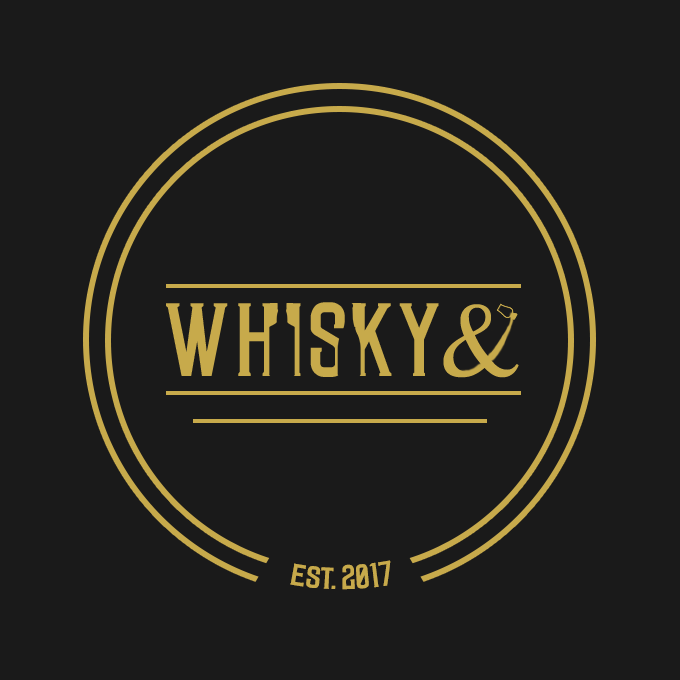 Whisky distilling is seen by owners the Urquhart family of Gordon and MacPhail as an art where distilling is done with no pressure of time and entirely without the use of computers or even pressure gauges. The most sophisticated piece of technology is a blackboard and scales to record the weight of each hand-filled barrel of their golden elixir. Fermentation and distillation is long and slow every part of the process judged by aroma and taste, sound and feel. This is whisky heritage that is authentic and genuine. There is nothing cliched, trite or contrived about this whisky. No ‘Hielan’ marketing babble or spin, just skill and devotion to their craft. 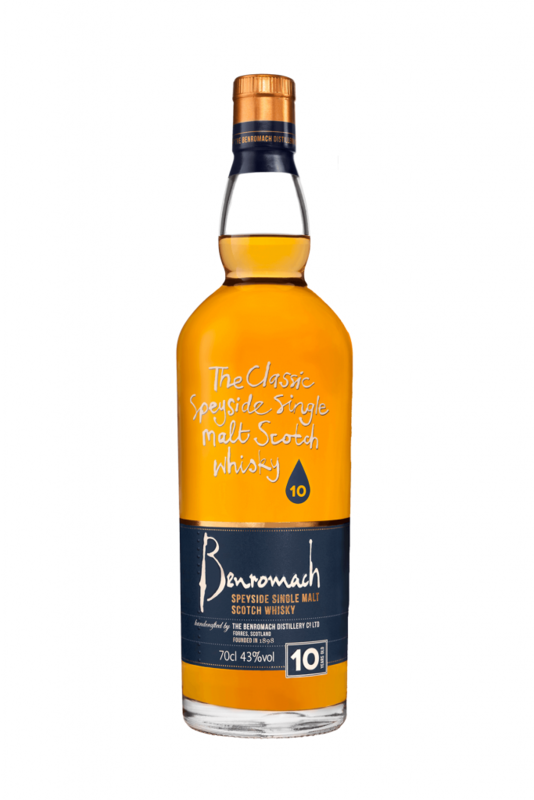 Benromach has been described as a rebirth of the older style whisky. I can agree that its flavour and aroma often beguile its age and it could be a much older style of whisky even 50’s, 60’s or 70’s. It could but it isn’t – it is true craft whisky in the traditional style but with a modern twist that makes it better. This comes from the depth and balance of richness and fresh flavours. A multi-layered Speyside with charm and elegance. Taste is evidently put before cost. 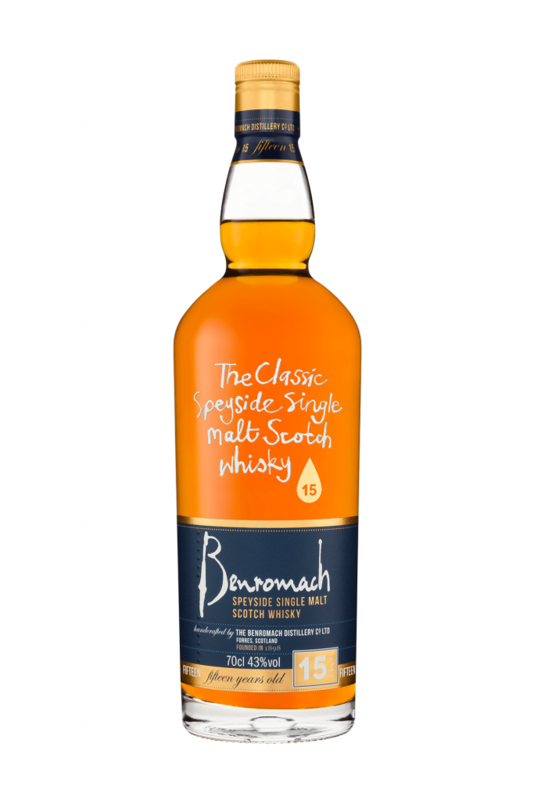 Benromach utilizes both bourbon and sherry casks which again give the balance of deep winter fruit against sweet burnt toffee complex spices and citrus, complemented at its peak by oak, leather and smoke. The first sample taste 10-year-old classic winner of the 2017 Best Speyside 12 years and under award in the world whiskies awards. The nose displays rich sherry with a nutty hit balanced with pears, ginger a hint of grapefruit and a dry chocolate note. A really lovely nose which develops with time and a drop of water. There is an enticing touch of the light peat smoke which epitomises Benromach. The palate delivers everything the nose promises. There are juicy red berries, caramel sweetness pear and cherry, malty barley notes with a great mouth feel, apple peel, oak and lingering wisps of smoke. The finish keeps on delivering more spices fading to leather and tobacco. I loved every sip. This whisky justifies its accolades. It is a classic and is well priced so great value. The next dram tasted is the 15-year-old also a multi award winner. 2018 World Whisky Awards Speyside single malts 13-20-year-old winner. Just think of the 16 and 18 year olds this beat and all for around £50 one for your shelf. Initially this seemed much tighter on the nose than the 10-year-old, it needed time to open and I added a couple of drops of water. The nose gave sherry of course, honey and orange zest were apparent. I noticed bourbon biscuits that distinctive baked dry cocoa powder note with hints of smoke. A mix of delicate spices included cinnamon nutmeg and ginger. There was one slightly elusive note I could not tie down until a fellow taster said ‘cucumber’. That is it faint but unmistakable. Opens up nicely with water bringing out the sherry, a sour cherry note and smoke, chocolate fondant and nutmeg then leather and tobacco. The palate was great delivering floral and fruity notes, (pear, apples, orange zest and plumbs) developing to classic chocolate, vanilla and spices. The finish again was wisps of smoke, oak, leather and tobacco. This is a great example of how 5 more years of maturation of a great spirit base in good wood can deliver an elegant but sophisticated multi layered whisky. Finally the ‘star’ of the tasting. The 20th Anniversary release. A limited release of 3000 bottles at £300 each. If my maths is right this is a 19-year-old whisky. The nose was immediate and huge. Treacle cake, cherries and danish pastry (pastry, apple, cinnamon and icing), citrus hints burnt demerara sugar and vanilla. The palate was amazing. Unctuous is the word that springs to mind. There was so much pleasure and complexity, I held this on my palate for simply ages as the spirit coated my mouth and developed its huge breadth of flavour. Creamy toffee , apple, orange zest, cherries and for me almost sticky toffee pudding with its caramel sauce balanced by spicy pepper and ginger with cinnamon and nutmeg hints. There finish was tobacco, leather and smoke and revelling in the remnants of its lovely waxy mouth feel. Each sip took ages to finish which makes this whisky great value for the money. Such depth and complexity so luscious I feel privileged to have had the opportunity to sample a whisky which will probably rank in my top 10 whiskies of the year. This dram really benefits from its high ABV. It is fair to say I love every one of these whisky each being classics in their own right. These are whiskies I recommend without hesitation that you try. To get the 20th Anniversary Edition you had better move fast as some outlets are already sold out. Going to the distillery is probably your best chance. The long slow fermentation of quality barley and the water. Their skilful use of both distillers and brewers yeast. The fine tuning of the peat and smoke delivery. The care and skill put into creating the base spirit which provides the excellence of the 10 year old as a foundation for their longer matured expressions. The use of high quality first fill barrels which makes most use of the base spirit and compliments it to deliver the complexity of flavour. 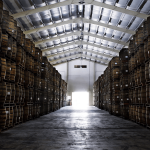 Finally the use of the dunnage warehouses in tandem with the Speyside climate to mature their whisky to perfection. Finally, the appropriate choice of ABV at bottling. I love everything about Benromach. It is the authentic traditional whisky distilled by real individuals whose pride in their art is readily displayed in every sip of their product. I recommend these whiskies without hesitation and you will always see one of these on my shelf at home.